Curt Bowen co-founded a nonprofit to help Guatemalans feed themselves. BOISE - Hundreds of Guatemalans got off busses and airplanes this week back in their homeland after failing to enter the United States. It was a scene that played out for many families from Central America who were deported back, many without their children who remained in American camps. For a Boise man whose life mission is to help Guatemalans improve their quality of life it’s a frustrating and confusing time. "The only way to fix the illegal immigration dilemma is to develop the countries of Central America," Curt Bowen said. And that’s exactly what he has been doing for the last decade. 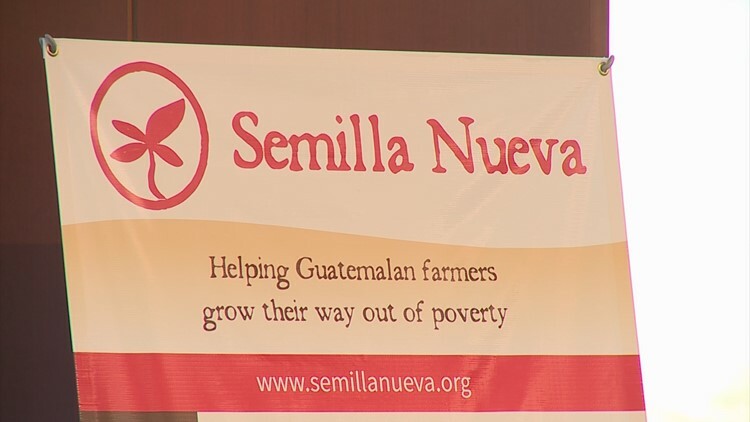 After growing up on an organic farm in the Treasure Valley and getting an agricultural science degree at Whitman College, Bowen moved to Guatemala where he co-founded a nonprofit called Semilla Nueva, or "New Seed." It was born out of the need to inject protein and nutrients into the corn of one of the world's most malnourished - and impoverished - countries. "When you know the conditions on the ground here, you see why people are willing to risk everything to get that shot at a better life," Bowen said in a phone interview from Guatamala. "And I think for me, for the past 10 years, we're surrounded by it every single day." The despair for many in the region may be at an all-time high due to the influx of gangs which outnumber police in some places, combined with the difficulty of providing livable conditions and education for children. "It’s just given the way the conditions are, virtually everyone says, 'I got deported twice and I'm going for a third time.' There’s just this movement that this is the way forward for so many people. “There’s this combination between anger and confusion and sadness and ultimately they ask the question, 'what’s the other option?'" Bowen added. The other option is what the Boise based nonprofit is doing - providing nutritious corn for a country whose life expectancy was 57 years old just 30 years ago. Corn seed that is being produced and sold by 1,000 farmers producing enough food packed with protein and nutrients to change the daily diets of over 120,000 people, according to Bowen. He hopes that number will multiply by 10 or 20 times in the next decade, making for not only a healthier people but also a reason to stay and make a life for them in Central America without having to look northward. "It’s taken a long time to put these pieces together and get to this point, but we're here, it’s happening," he said. For more information on Semilla Nueva, click here.